We have reached the end of the 2015 Review Crew year. Sad but true. We are about to take a holiday break from reviews but we have been accepted to continue to participate with the Crew for 2016. 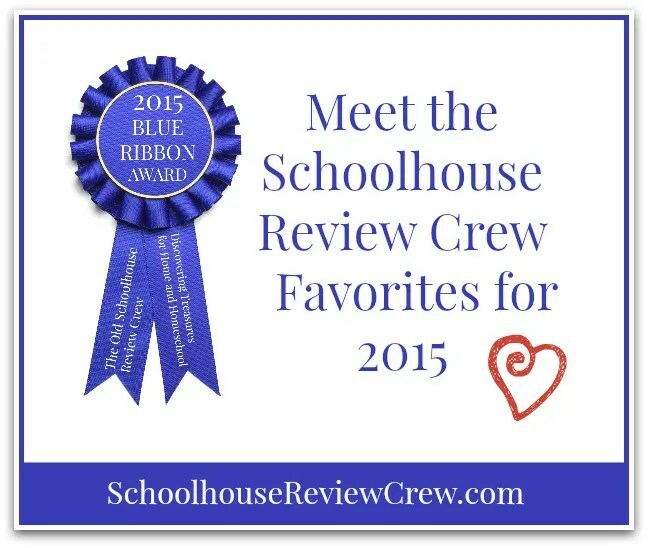 We’ll start back up in January and February with reviews for The Old Schoolhouse. As the finally “hurrah” for the year, we always enjoy thinking back over our year and all we have done. The Review Crew votes for our favorites out of all of the slots we have reviewed through the year. Want to know what the top vendors were for 2015 for the whole Review Crew? Head over to the Crew blog and find out. Favorite Grammar Program: Editor In Chief from The Critical Thinking Co. Favorite Science Curriculum: Surfing the Net: Science from The Critical Thinking Co. Favorite Math Curriculum: Alpha Omega Publications (Horizons 1st Grade Math) – we did not actually review this one but we have bought it and are loving it due to recommendations from Crew members. This link goes to our review of the phonics program but has links to the vendor’s site so you can learn more about their math. That is a lot of learning the girls did! The voting was hard because they really enjoyed several of the products that were in categories against each other. But, in the end, we were able to include all of our favorite vendors and products. We had a great Crew year and we can’t wait to see what 2016 brings!